Adorable Minnie is a lovable and proud mum who is always the first to the fence to welcome visitors and ask for a cuddle! This gorgeous and friendly donkey came to Redwings Mountains in 2011 after she was rescued from Ireland with her foal Mouse, who’s never too far from her side. 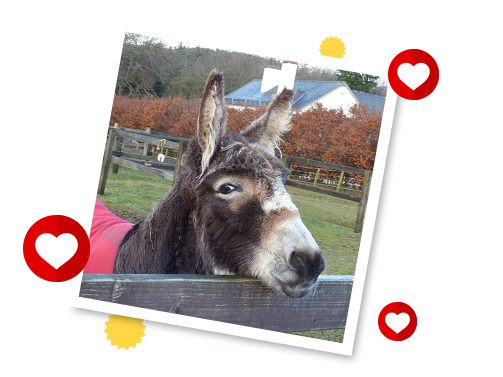 Minnie loves to have great fun with her donkey companions and meet new people… and she’d love to be your friend too! Minnie lives at Redwings Mountains, near Forfar, in Angus.